Hi scrappers! 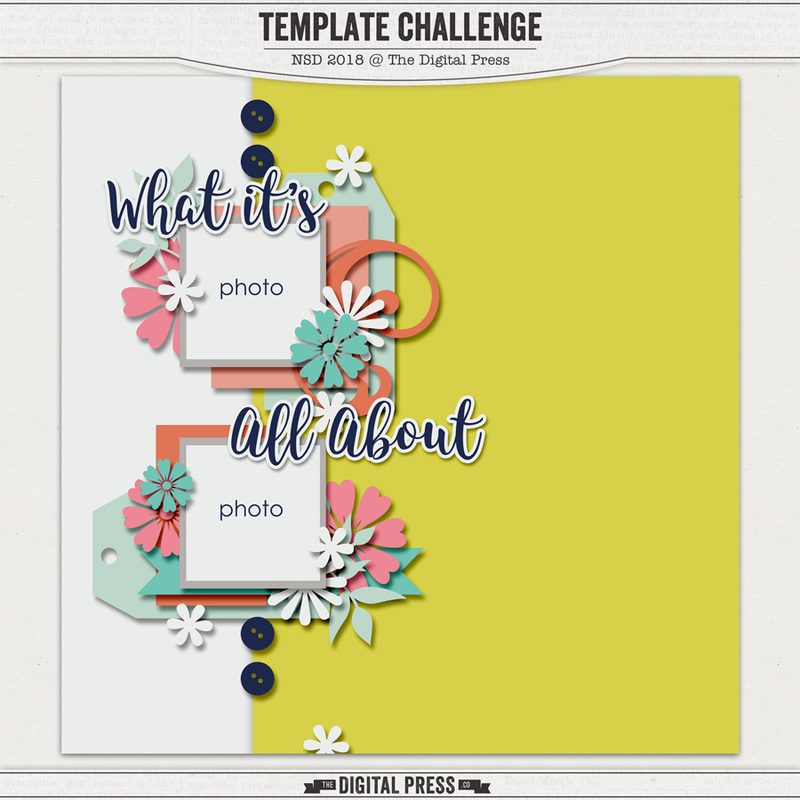 Christelle here, hosting my very first challenge here at TDP. 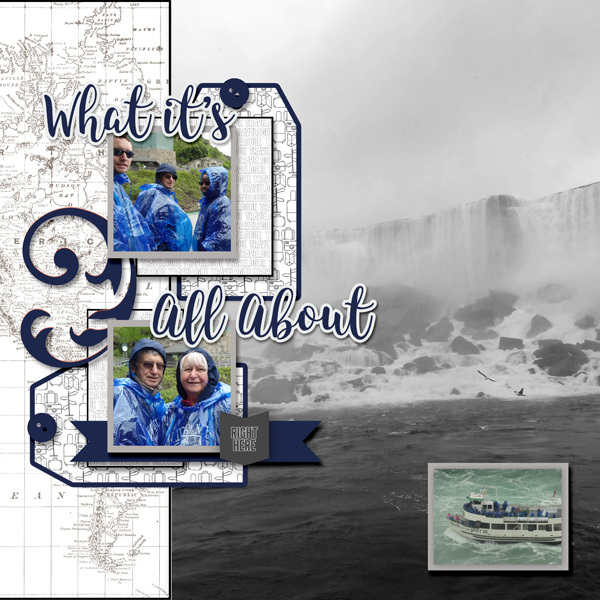 I'm so excited with all of the NSD activities that we have going on this week, and what better way to start off the challenges than by grabbing this fantastic template by Meagan's Creations?! 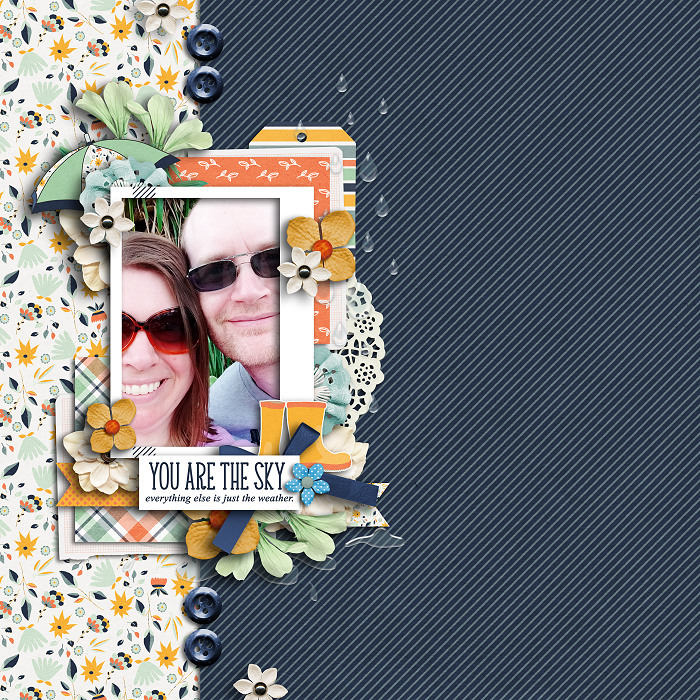 You can alter the template as you need - rotate, flip, add or remove elements, let your imagination run wild! Just remember that we still need to recognize the original template. Last edited by Laura Passage; 06-01-2018, 05:08 PM. 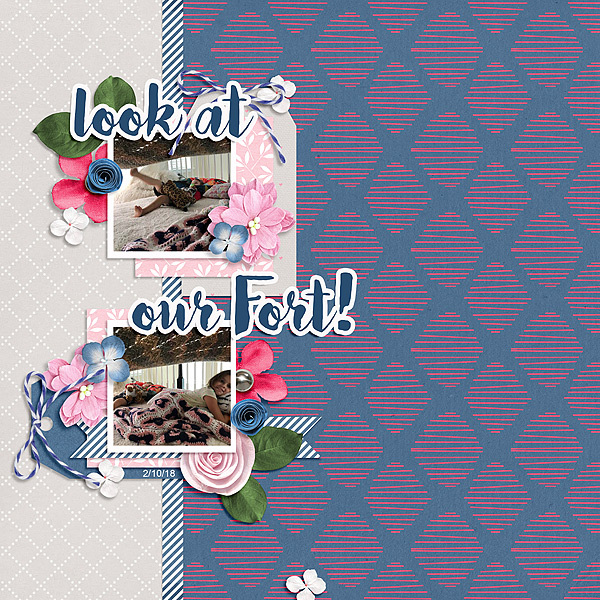 Thanks for a great template, that page is GORGEOUS!!! Thanks for playing! I like the paper strip you added between the two papers, and the strings on the tags. What a beautiful template! 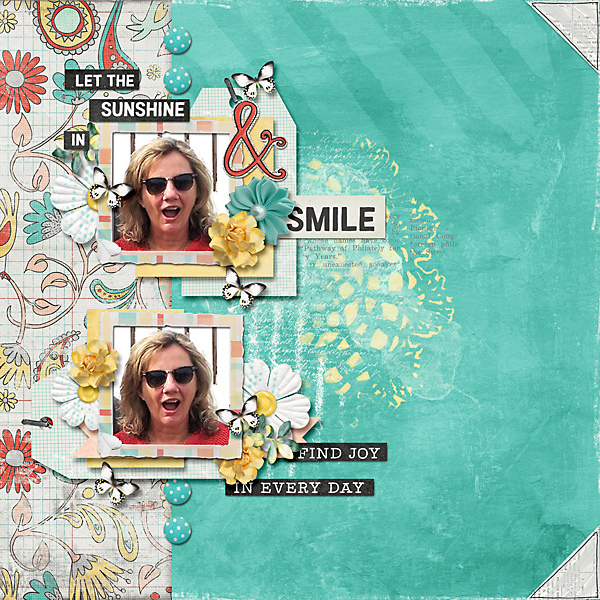 I loved playing with it and used Hello Happiness and What You Mean to Me, both by Tracie Stroud to make my layout. Thank you for hosting it Christelle! You would never know this was your first challenge here! Thanks for playing Robin! I love all the texture in the background, and such a gorgeous photo! Aw! Love the template! Definitely will be playing with this! Can someone please tell me how to save my scrapbook page so that I can upload it on here? I keep getting a message that it is too big (even saving it at only 2 low resolution in Elements) or that it is the wrong size (trying to save it as 1 in the JPEG image options. I am new to posting in the forum but would really love to participate in these challenges for iNSD. I have already run into issues in a couple of the other challenges with not being "authorized to upload attachments or URLs" maybe because I am using Microsoft Edge??? Thanks for any help you can give!!!! When you are saving it are you resizing the layout, and then saving it for the web? That should drop it down size wise enough to be able to upload it to the gallery and then share it in threads using the bbcode link. I'm so glad you managed to post your page and post here too! I'll leave you some love in the gallery too. Great page, thanks for playing Anne! Thanks for playing Jenn! I like how you've made the template your own. 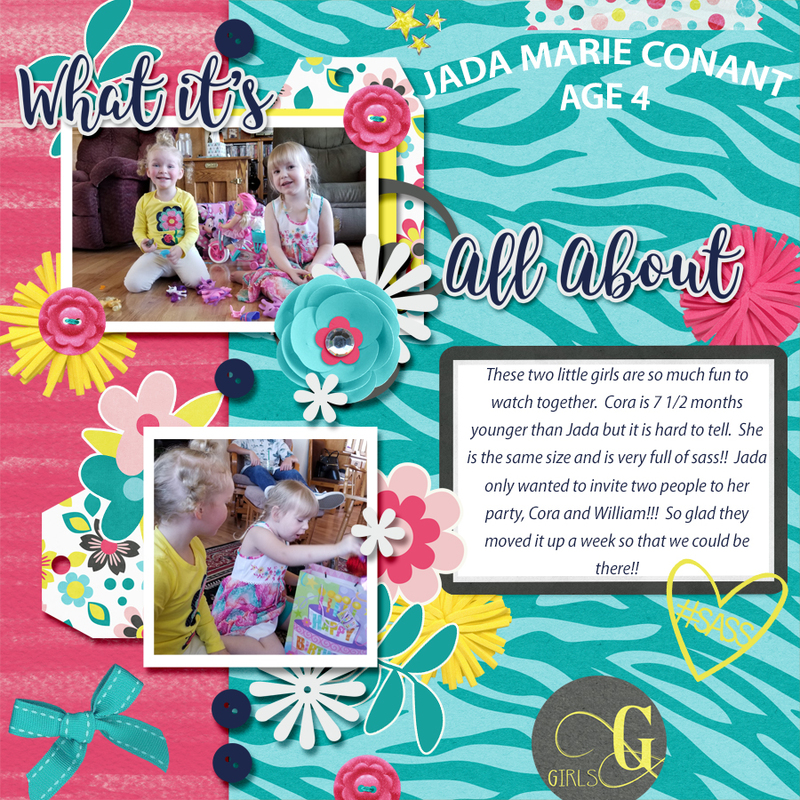 What a fun page! Thanks for playing! 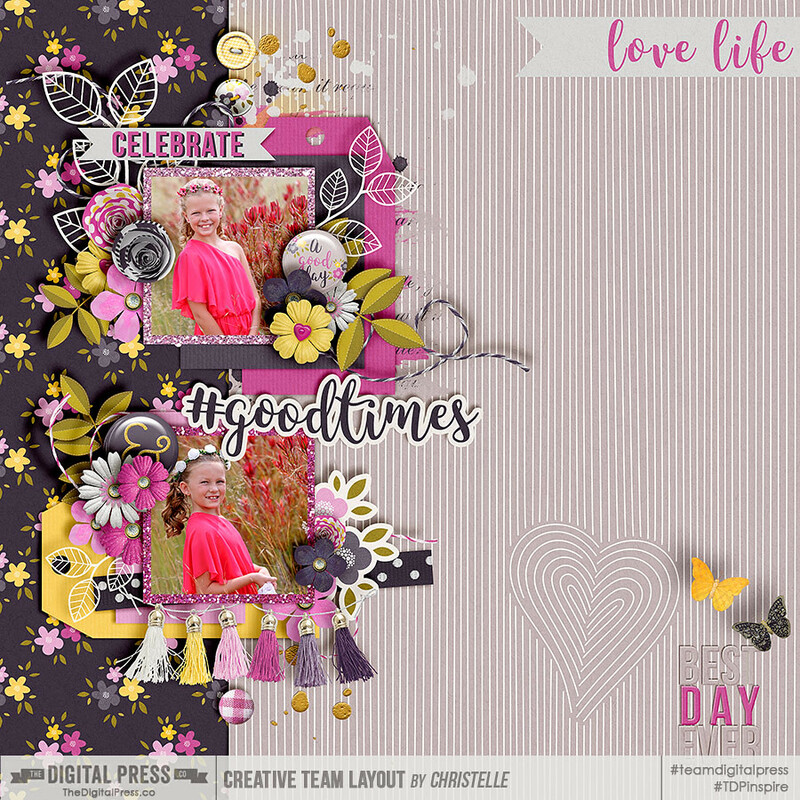 Here's my take - flipped the template and added another photo and journal card in the middle. Thanks for the challenge. I had fun doing this! Wow, what a great take on the template. Thanks for playing! Here's mine. Thanks for the lovely template. Lovely LO Tiffany! Thanks for playing! Fantastic page Jan! Thanks for playing!